On a clear, cold night in Birmingham, Aston Villa took on Tottenham Hotspur in the Carabao Cup Quarter Final. Spurs, second in the Premier League up against Aston Villa, 1st in the Championship. The big news was that Jack Grealish had to make do with a place on the Spurs’ bench and Villa welcomed back Tammy Abraham, after he was rested for Keinan Davis at the weekend. 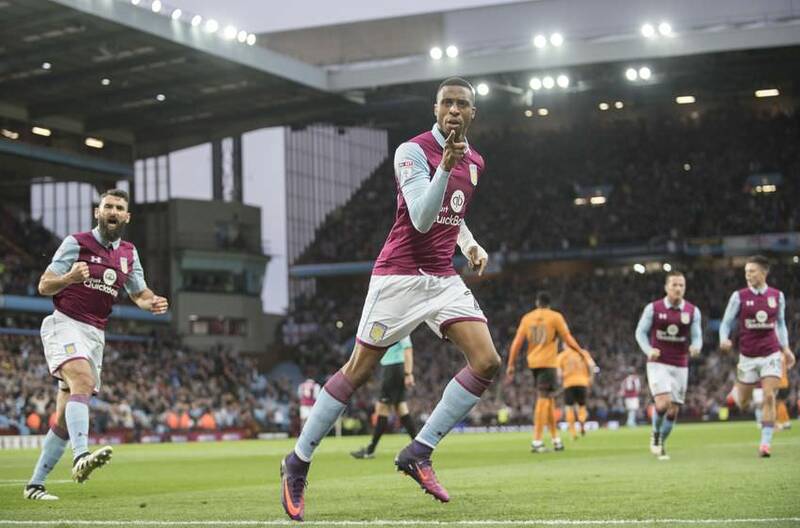 Everybody was raving about it being Kane (only 8 premier league goals this season) against Abraham (18 goals this season) that no one really looked at Jonathan Kodjia. The Ivorian had a slight blip last month when he was dropped but Wenger put his trust in him to bounce back and his relationship on pitch with Bolasie worked a treat already this season. Spurs were quite bullish about there chances with Harry Kane stating Villa were one of the easiest teams left in the competition. The thing is Villa were a team who had scored a huge 75 goals in all competitions this season. I think it had something to do with Arsene Wenger being in charge of Villa this season. Villa exploded out of the blocks and after just 2 minutes they were in a shock lead. Bolasie got the ball from Taylor and ran for the byline, fed in a pin point pass for Kodjia to head home. Villa fans were obviously going crazy. Spurs tried to immediately hit back but Kane’s shot was very high, very wide and not so very handsome. Villa though continued to pressure Tottenham down the flanks and 10 minutes later they were 2-0 up. Hutton, this time drove forward, played a one, two pass with McKirdy and then this time cut in, played a pass to McGinn who fed a delightful through ball into the path of the oncoming Kodjia who did not waste the chance smashing it past the hapless Hugo Lloris. 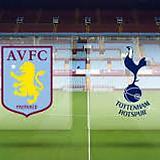 Spurs then did have a spell of dominance but James Chester and Jacub Bedeau were having spectacular first halfs and limited Spurs to just 3 shots on target the whole half and Villa went in at half time 2-0 up and the pundits were loving the way Villa were playing. This is the best Villa team I have seen since the Martin O’neill era said Sky Sports Paul Merson. They just have something about them that Wenger has managed to instil into them and I think it’s the fact you have the youth players coming up and the midfield know that Tonoli is coming in in the summer said Jamie Carragher. Villa started the second half on the back foot and you got the feeling if they could just ride the Tottenham storm then the game would come back to them. Rushian Hepburn-Murphy, Zinchenko and Bjarnason all came on. Spurs bought on Grealish and after 4 minutes of his introduction he was yellow carded for a foul on McGinn. It was however Jonathon Kodjia who had the last laugh as he picked up the ball 25 yards out, passed it infield to Bjarnason who played it out wide to Bolasie and instead of crossing Bolasie hit a fizzing shot across the face of the goal. Lloris did well to save it but Kodjia was there to put away the rebound and score a hattrick. Spurs could not do anything and Villa picked up a rather convincing victory which landed them Chelsea in the semi final. Can Villa go all the way, tune in to find out. Justice Pfft nothing more I could do apart from slaughter Spurs? Fantastic victory over a top side in Spurs. Great result against a Champions League side in Spurs, bodes well for the rest of the season! Aston Villa perform admirably in December as Jonathon Kodjia again stole the headline along with a rather surprising play in Jacob Bedeau. The young centre back has cemented himself as a regular starting centre back at the expense of the upcoming Manchester United starlet Axel Tuanzebe. The youngster has developed a great understanding with James Chester, who acts as a mentor for Bedeau and England Manager Gareth Southgate has been to Villa Park to watch Villa’s English players. Villa played six games this month and won four with the big victory against Tottenham. 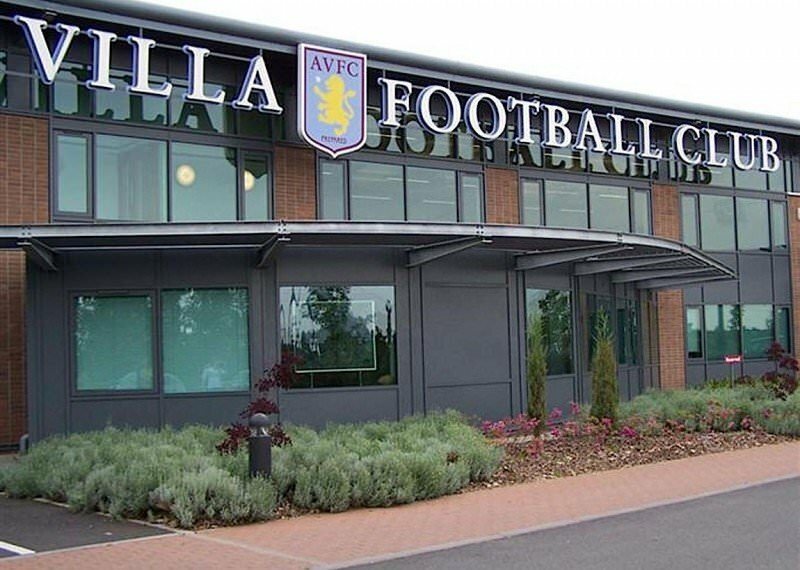 January is going to be a big month for The Villans with games against the likes of Norwich, Blackburn and Derby. Cambridge United also host Aston Villa in what could be a tricky tie in the F.A Cup 3rd round tie. Although Cambridge will be severe underdogs and although the League 2 side are not doing very well but Villa will still be confident of a big win. 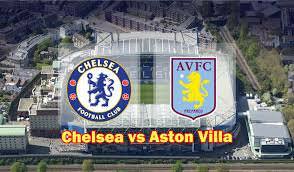 Aston Villa will also entertain Chelsea in the Carabao cup Semi-Final and it has been a fairy tale run for Villa and you would not back against them winning that but they need a clean sheet and a win at home. I will keep this short and sweet as I wrote a lot more than I usually do a the top. We performed excellently really, we have continued to improve and we are always going to lose some matches but we seem to be winning a lot more which is pleasing to see. We have a fearsome front four (including the likes of Hepburn-Murphy, Keinan Davis and Bjarnason) that teams are quite honestly scared shitless of. 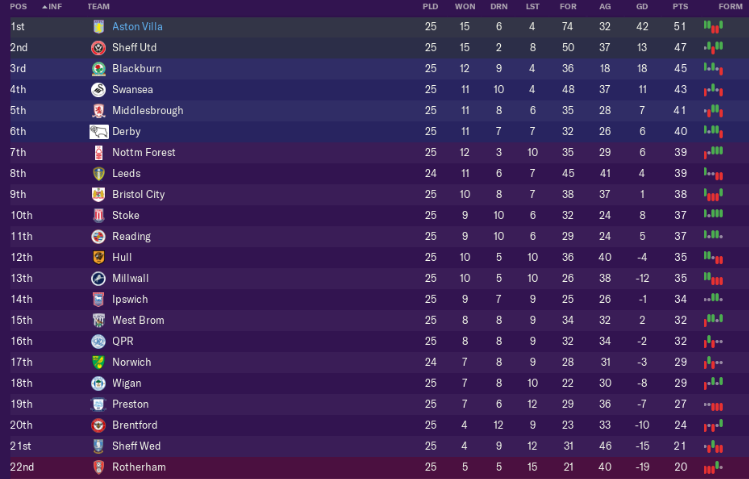 Villa still top the table, four points clear of Sheffield United and a further six clear of Blackburn. Whilst Villa look favourites to go up automatically, Swansea and Middlesbrough are giving Blackburn and Sheff United a decent run for there money. Norwich, QPR and West Brom continue to disappoint but there is still time left this season. It is ridiculous at how many goals he has scored this season. Six goals in Six games means that Villa continue riding high in the scoring charts and hopefully for Villa fans he will continue this great vein of form. Another good month of results that is steadily seeing you closer and closer to promotion! Welcome to the Sky Sports Transfer Desk. Today on the news that Aston Villa’s Egyptian chairman Nassef Sawiris has first given Arsene Wenger a new 4 year £49,000 a week deal and that Wenger has been handed a £35m transfer kitty to try and keep Villa on the top of the table. So lets look at who Villa might lose and who we think Wenger will look at buying. It is the biggest question being asked! Can Villa hold on to the on loan Englishman. Tammy Abraham has been in fine form for The Villans this season. Abraham, who has scored 18 goals in all competitions this season is expected to see out the season but with England Manager Gareth Southgate watching the young forward and scouts from Chelsea regularly at Villa Park it is understood that Arsene Wenger is not sure if Abraham is staying or going. 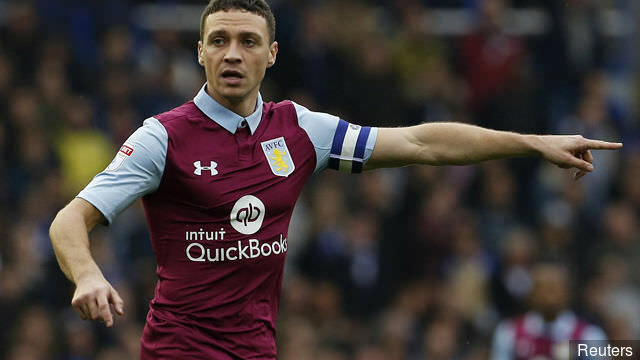 James Chester has been absolutely terrific this season and it is his relationship with Joacob Bedeau that has seen Aston Villa sitting at the top. Yes you need to be able to score but if your team lets goals in as fast as you score then usually you do not finish top. So who is circling around the 29 year old Welshman? Brighton and Huddersfield have reportedly made buying a defender there number one target. Brighton have shown interest in Chester since November and reports they might offer Villa £9.5m are not far from the mark. Huddersfield though have decided to show a interest too. The Premier League side, who are 19th and have let in the most goals in the competition need to wort out there defence before its too late and Chester would be an ideal candidate for the Premier League side. 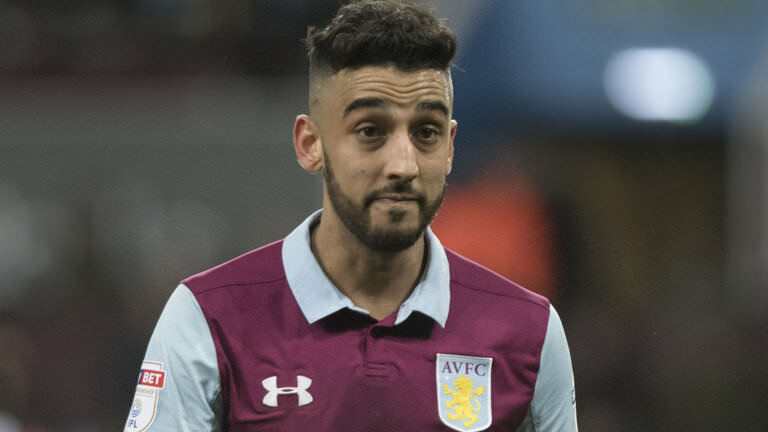 Neil Taylor has been the revelation of Villa’s campaign this season. The 29 year old moved to Villa in 2016/17 and has been ever present but it is this season where he has become noticed. He has emerged as a target for Bournemouth, Newcastle and Cardiff. The left back, currently injured has always said he wants to play in the premier league but with Zinchenko and Ricca performing well for Villa whilst he has been injured means that playing time might be restricted. It is understood Bournemouth are ready with an around £8.5m bid for Taylor and Villa might just accept. If Chester leaves Aston Villa then they could look at someone like Daniel Ayala to replace him with. Ayala has had a great season so far and is very consistent. Villa are looking for promotion and know they have to pay big money for players they want in the Premier League so with Ayala they will probably be looking at £9m minimum for the Middlesbrough defender and that is if he would want to move to Villa. It is reported that both Lanzini and Antonio are unhappy at West Ham and have both been transfer listed so this would be describe as quite a coop if Villa were to sign one of them, let alone both of them. But is it really possible? We think so! We believe they would both be interested as it looks as though Villa will go up and Bolasie and Lookman will return to there clubs at the end of the season. 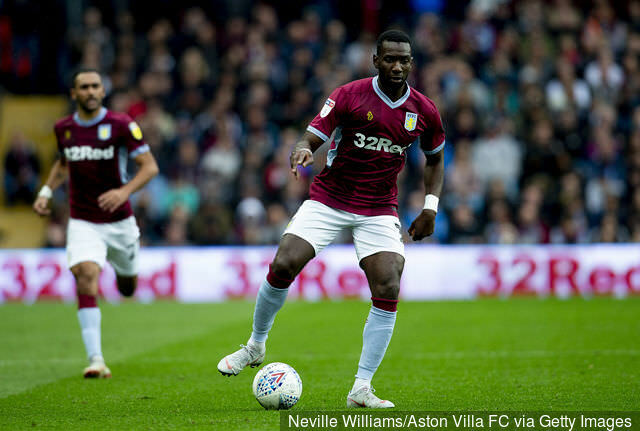 We believe Villa to try to sign Bolasie at the end of the season but Antonio can play right back too although with Alan Hutton being captain that doesn’t look likely. 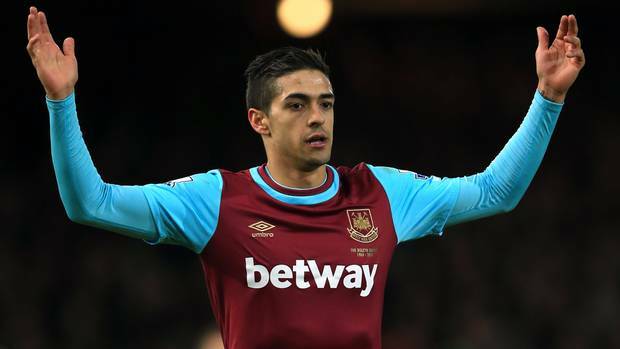 We believe there is more chance Lanzini will sign but only time will tell! ScottT We are getting there, I will get promoted! Keeping Abraham must surely be of paramount importance. His goals can make your season a fruitful one. An interesting transfer window is in store, that is for sure! Lanzini would be an incredible coup! Aston Villa have signed there first player of the January transfer window with Arsene Wenger spending £1.6m of West Ham injury prone striker Andy Carroll. Carroll, formerly of Newcastle, Liverpool and of West Ham signs a 2 year contract worth £40,000 a week. Carroll, who did not need persuading to move down leagues will provide a good option to Tammy Abraham and Jonathon Kodjia in attack. Aston Villa are currently top of the Premier League and Carroll thinks he can help them stay there. 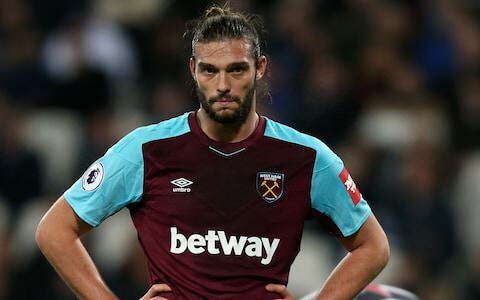 Andy Carroll played 16 times for West Ham scoring three goals this season but has had torn ankle ligaments twice this season already but Arsene Wenger has said he will not play every match. We will do what Spurs did with Ledley King back in the day, Andy will play in matches where he is needed and next season I feel with he right pre-season we at Villa can put his injury past behind him.Andy Carroll is available for this Tuesday’s match in the Carabao Cup Semi Final against Chelsea but it is hinted he will start on the bench. A quality player when fit, the aim will be to do just that. A big asset if you can keep him fit! Playing Chelsea is hard enough but having to play them without your star striker due to being on loan from Chelsea is even worse! Tammy Abraham was ineligible so new signing Andy Carroll got his debut against Chelsea, a team he does like scoring against. Villa, being the away team in a lower division were expected to be a lot more defence minded but this did not happen as Wenger went for it. Kodjia, Carroll, Bolasie and Lookman all named in the starting XI. Harry McKirdy had gotten himself sent off in the F.A Cup win over Cambridge so Joe Allan started alongside Jon McGinn and Bedeau and Chester were in central defence. Chelsea were taking this seriously too, they know the danger Villa would possess. Morata, Hazard and Willian were upfront, Barkley, Kante and Jorginho with Luiz and Christiensen in defence. The match kicked off at Stamford Bridge, 41,631 people did not realise they were about to witness of the best matches for at least 5 years. Chelsea appeared happy to sit off Villa to start with. Andy Carroll penalised in the 23rd second of the match for a elbow, he seemed up for this. Arsene Wenger standing up and had no intention of sitting down. The VAR was involved in this match too but was not needed for the first goal as Villa took a corner but lost the ball. Morata and Willian danced down the pitch two on one, James Chester just got bamboozled and Willian finished it off. Chelsea led 1-0 and it wasn’t 1-0 for long as Willian, who had started well took on two Villa players and was bought down in the area with a penalty given. Hazard put it away and to be honest you kind of feared for Villa. Aston Villa though appear to have this steely determination now to get back into the game, and it was a special strike by debutant Andy Carroll. Bolasie’s speed against Marcos Alonso meant that he could pretty much do what he liked. Carroll had drifted from his centre forward position to around 20 yards out. The different is that this time the Chelsea defence thought they were safe backing off him, then from around 20 yards out he found the top corner! Chelsea keeper Arrizabalanga stood still and did not even move, that was 2-1. Aston villa got more into the first half but Chelsea with Hazard and Morata were causing Villa trouble, which paid off in the 20th minute when another break away from a Villain free kick this time left Hazard all alone Kante just had to find him and he did and although it was a scuffed shot Chelsea led 3-1. Yet again though Villa came back for the second time in the half in under a minute it was 3-2, this was fluke in my view but Ademola Lookman said he meant it. The Englishman picked up the ball and unleashed a cross/shot from the corner of the 18-yard box which flew over the keeper and into the net. Both teams continued to have chances but it went 3-2 Chelsea at half time. Aston Villa threw on Birkir Bjarnason and Zinchenko at half time and it worked, Chelsea did not know how to handle Zinchenko. Andy Carroll got booked and Kodjia and Barkley rattled the woodwork but Villa got a very well worked, classy, Arsenalesque equaliser. It was started and finished by Jonathon Kodjia. 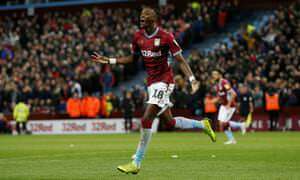 The in form striker picked up the ball on the half way line delivered a pass to the very quiet Alan Hutton who held up the ball before lofting it over the Chelsea defence, Kodjia the controlled it and slid it into the bottom left corner and it was not less the Villa deserved. Chelsea appeared a bit shell shocked but 11 minutes late they secured the victory. Barkley delivered in a corner and substitute Olivier Giroud got the header into the net. Villa ended up losing but they are a lot better at home and despite being behind can they convert good home record into a Cup Final appearance, the second leg at Villa park is on Tuesday 22nd January, then four days later in the F.A Cup 4th Round Villa play the second city derby at home vs Birmingham City.